I've just had the pleasure of demonstrating these crepes in the Doves Farm kitchen at the Allergy & Freefrom Show in Olympia, London - showing just how quick and easy they are to make. 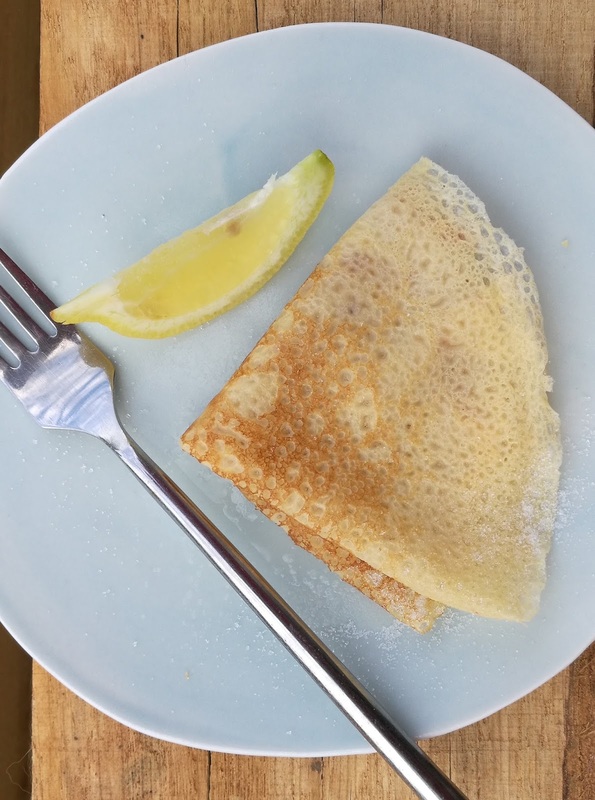 It's my latest effort in evolving the gluten-free (and dairy-free) pancake, and I'm delighted to be the one at the global forefront of this particular art form! So what's the secret? Potato flour (also known as potato starch), which helps make them super-thin and yet robust, with a little added brown rice flour to give flavour and fibre. Eggs and rice milk finish off the batter, which just requires a quick stir and you're done. Dove's Farm has lots of gluten-free flours under its new 'Freee' banner - and my message at the show was not to be afraid to experiment with them. There's no one replacement for wheat flour, it's all a matter of finding the best flour for the job. Place the rice flour, potato flour and salt in a large bowl. Add the beaten eggs and start to whisk. Gradually pour in the rice milk. Pour the resulting batter into a jug. Heat your frying pan to medium hot. Lightly grease it with sunflower oil. Pour on a dollop of batter and swirl the pan so your batter forms a thin layer across the base of the pan. Cook for 1-2 minutes until golden underneath, then flip over and do the other side. Place finished pancakes on a plate under a clean tea towel while you fry the others. Serve warm.